This card is no longer part of the Capri.com collection. Gatic - Capri Guide is a group of 11, Capri-born tourist guides, with a mission: a mission to introduce visitors to the very best of the island - from an islander's point of view. Think Capri and you'll probably think Faraglioni and Grotta Azzurra. Beautiful as they might be, there's more to this enchanting Italian island than sea stacks and blue caves - as anybody who has taken a tour with Capri Guide will be able to tell you! 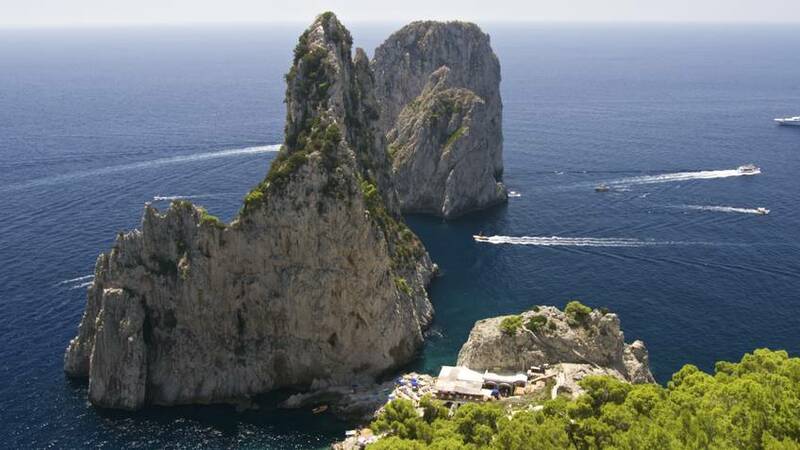 Book an excursion with Capri Guide and you'll get to experience all of Capri's most famous sites, plus a whole string of secret locations, which only an islander could show you. Whether you're on Capri for just one day or for a whole week , Capri Guide has the tailor-made tour, group excursion, or boat trip around Capri you've been looking for. Staying in a local hotel, or visiting with your yacht or cruise? Capri Guide has the perfect tour for you! Not just guided tours: Capri Guide also provides an airport meet & greet service and private transfers from Naples and Sorrento. What's more, if you're holidaying on the island and decide you want to explore the mainland, Capri Guide creates fantastic bespoke excursions to nearby Naples, Sorrento or the Amalfi Coast too. Gatic - Capri Guide is much more than a group of professional tourist guides. It's an association of young islanders who aim to promote and, in particular, protect Capri's amazing historical, cultural and natural heritage, by offering visitors tourist services of the highest quality.